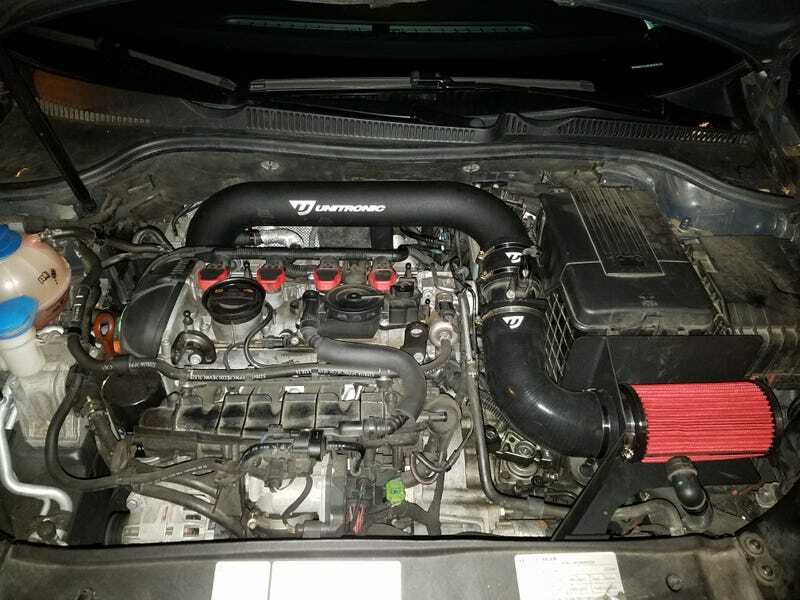 Installed the Unitronic V2 Intake system in the incredibly dusty GTI. Took it around the block, and everything pulled and sounded great, but after I parked, there was a distinct and very loud tapping, maybe from the block. Need to inspect more after work tomorrow.